<rant>As a proponent of voluntarism and free markets, I believe that a company should live or die according the value it brings to its customers, not through political kickbacks or regulatory capture at the expense of the taxpayers and their freedom of choice. To that end, in a truly free market, reputation is paramount and the importance of consumer reporting – both professionally and socially – cannot be understated.</rant> For this reason, I want to share my experience with two separate companies regarding a particular incident. 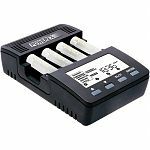 I was using the Refresh/Analyze function of my Powerex MH-C9000 charger to check out some older Rayovac 1800 NiMH batteries. Everything was going fine, but on the 7th battery, after some time, it started to make fizzing and small popping noises. As soon as this happened, I immediately unplugged the charger and, using an implement, popped the offending battery out of the charger and into a metal pot where it continued to hiss and pop. The battery wrapper had melted, and it damaged some of the plastic around its slot in the charger. About a minute later, after having briefly quieted down, the battery burst open (still inside the pot) with a loud pop. Nobody was injured during the incident, though we breathed some fumes before we could get a window open, and the charger has ceased to function. It’s an expensive charger, $60 on Amazon. Is there anything you can do to help me out? Now, honestly, neither of these companies are responsible for this incident. Both products were out of warranty, and nothing lasts forever; they had no obligation to do anything for me at all. I was just hoping to get a coupon or two to help me defer the costs of replacement. Maha Energy responded to my email within minutes, and asked me to send a copy of my receipt. Turns out that my charger, which I bought off eBay, was a little over a week out of its 3-year warranty. 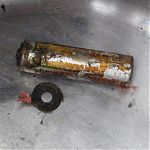 Despite these things, and the fact that the incident was likely the fault of the battery (my amateur analysis, not theirs), the representative still offered a one-time replacement, free of charge! I did not have to do any convincing, either; he simply looked at the receipt and made this offer. I sent the bad charger back, which, according to my tracking number, arrived at their office on Jan 10. I received my replacement charger only 5 days later! They even paid return shipping! Even with a warranty, that is excellent turnaround! Rayovac finally responded the day after my charger arrived. It was worded generically, and offered a current-market value refund for the device, or a “replacement of equal value and function”, if covered under warranty. Maybe I’ll just send them the batteries and see what I get back. I’ll update here. I can’t say enough how pleased I am with Maha Energy. They went above and beyond all obligations, just to make one nameless customer happy. Now, as stated before, Rayovac did nothing wrong, but if anyone is in the market for rechargeable batteries or accessories and is looking for a company that not only makes excellent products, but treats its customers generously, I’d highly recommend Maha/Powerex.